NOC-sponsored paddler Michal Smolen earned 2nd place in men's senior K1 at US Canoe/Kayak Team Trials yesterday in Charlotte, NC. Smolen, a Nantahala Racing Club paddler, finished behind only Fabien Lefevre of Bethesda, MD. 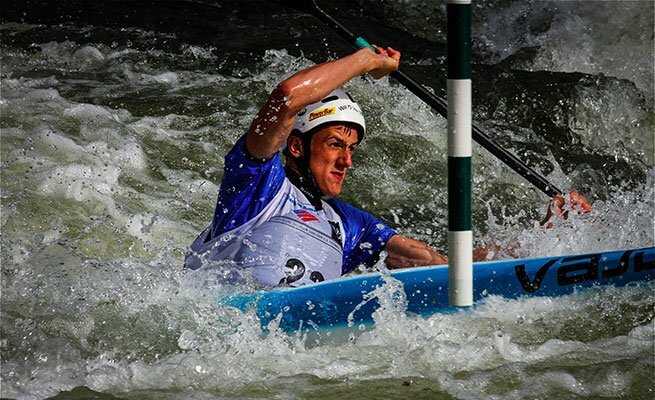 Smolen, whose longtime connections to NOC are detailed in this video, was already on the 2014 U23 U.S. Slalom World Championship team, and his second place finish will place him on the 2014 U.S. Slalom World Championship Team alongside Lefevre and Rick Powell of Parkesburg, PA.
You can learn more about Michal and support this 2016 Olympic Hopeful by visiting Michal's official website.